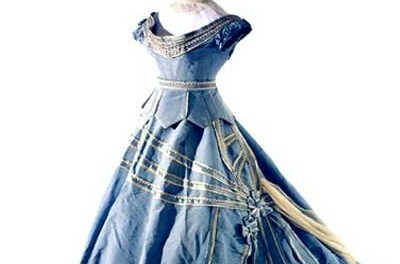 Showcased are breathtaking Victorian evening dresses from the late 1860s. All are abundantly decorated with yards upon yards of lace, ruffles, and ribbon. Featured is a silk evening dress with a bodice with short tight sleeves ornamented with puffs and a long train accented with sashes and bows. This beautifully illustrated book helps you see Victorian fashion in a whole new way. What effect did an Italian revolutionary have on Victorian fashion? Make your own nineteenth century night cap with muslin and lace.